New Zealand has worried about invasion for the last 200 years. Dotted around our major harbours are gun emplacements built to repel Russian and Japanese imperial designs in the late nineteenth and mid twentieth century’s, respectively. Of course neither of these invasions eventuated but there have actually been enormous numbers of successful invasions into our proud island nation. Thousands of plants, hundreds of insects and multitudes more have colonised New Zealand since Europeans themselves arrived. Species continue to arrive and New Zealand spends a lot of time and effort in preventing them from doing this or in trying to reduce the impact of these invasive species when they do get here. Much of the ecological research at Lincoln University and the Lincoln Crown Research Institutes is centred around these issues. One strand of this research is to understand the rules that describe the spread of non-native species through the landscape and over time. Many aspects complicate our understanding of these rules especially the fact that rules may differ at the level of local habitat, region or island. Also, factors that are important in the early phases of an invasion, like human modifications of habitat that suit the invading species, may be less so after several decades when the invading species becomes more widespread. In a new study published in Austral Ecology, Nicola Day and Hannah Buckley of Lincoln University have looked at the fate of three closely related invasive species over three decades. The plant species Hieracium (Hawkweed, Asteraceae) are native to Europe but are invasive in many parts of the world where they often degrade native and pastoral grasslands. 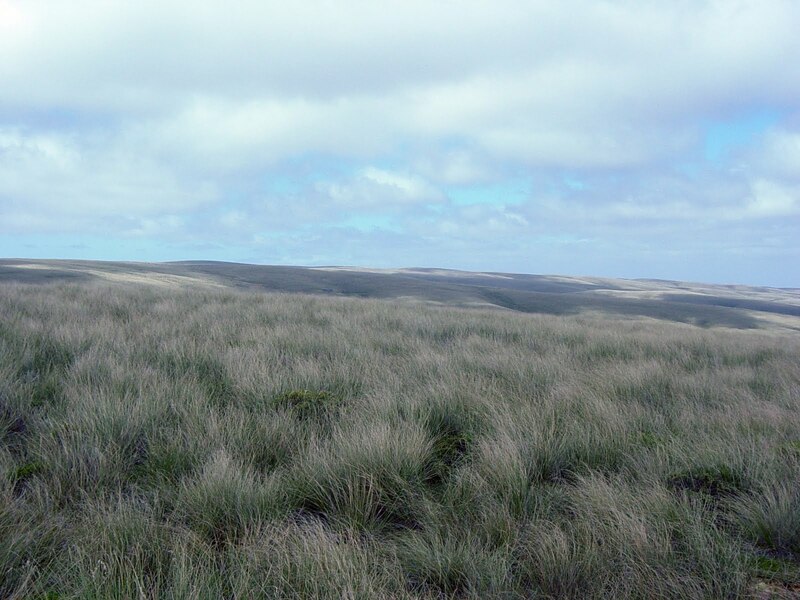 In New Zealand, three species in particular, H. lepidulum, H. pilosella, and H. praealtum, were introduced accidentally in grass-seed mixtures and cause major problems in high country areas. Day and Buckley wanted to know which ecological and environmental traits explained the spread of these species, whether these traits were important at all scales and whether they were the same for all three species. To test these ideas they were able to make use of a fantastic long term study. 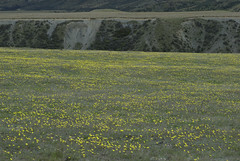 In the mid 1980s, 124 study sites were set up in high altitude tussock grasslands in Otago and southern Canterbury. Information about the plant species found at these sites and characteristics of the site, like levels of calcium and phosphorus and climate data, were collected. The sites were resampled in the mid 90s and again between 2005 and 2007. So Day and Buckley had the luxury of looking at the changes that had occurred over three decades. Overall, all three species increased at all scales during the study. All three species had complex relationships with the various traits measured. However, it appeared that there were some predictable patterns to be detected. For example, all three species were better able to invade areas of short-tussock than tall-tussock. It also appeared that each species shared a similar invasion trajectory for their population spread but that they were at different phases in their invasions. H. praealtum is widespread but its increase is slowing and is probably towards the end of its invasive phase. H. pilosella is in an earlier stage of its invasion and continues to spread at a high rate. H. lepidulum is only a minor component in the grasslands and seems to be in the earliest lag phase of its invasion (H. lepidulum was the last of the three species to naturalise). This study shows the benefit of sampling over decades and over large distances. In some ways this is a little worrying for ecological research which typically does studies over small scales and one or two years. Day and Buckley show that to understand the small scale you sometimes have to think at the larger scale.